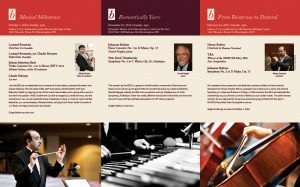 The Bloomington Symphony Orchestra is thrilled to announce the 2018-19 concert season, it’s sixth under Music Director and Conductor Manny Laureano. We are excited to perform works ranging from Bach to Bernstein. 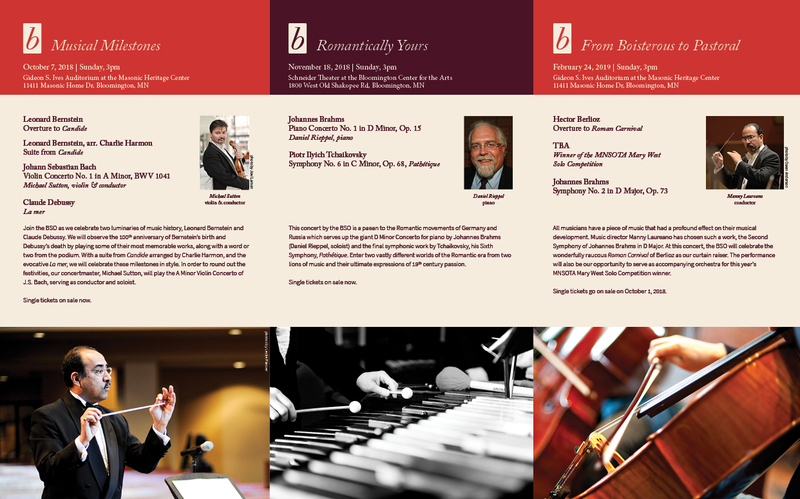 We hope you will join us for any or all of the season concerts. To learn more, click on the title of the concert and purchase tickets with the link to the right. 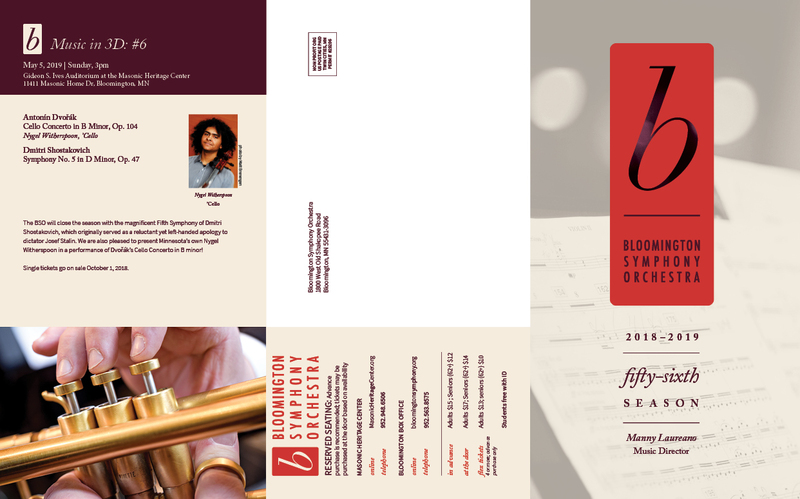 You can also click on the images below to download our 2018-19 Season Brochure. Before each concert, we share “Manny’s Musings,” thoughts from our Music Director and Conductor, Manny Laureano. This is the second edition of the “Musings” for the “Music in 3D: #4” concert that will be performed on Sunday, April 2, 2017. Some composers find their niches quickly and write defining pieces soon in their careers. Others learn more and truly deliver the works that become associated with their names, later in life. This was certainly true of this magnificent work for ‘cello by Antonín Dvorák (1841 – 1904). He had written a piano concerto which has gone into the dustbin of musical history. His next effort, the Concerto for Violin in A minor, has become somewhat of a standard for great soloists, but has not occupied the same place as those by Mendelssohn, Tchaikovsky, Brahms, Sibelius, Beethoven, or Mozart. To be sure, when one hears the Violin Concerto, it leaves one wondering why it’s not heard with greater frequency. 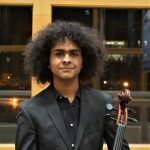 The fact is that Dvorák simply didn’t believe that the solo ‘cello was a powerful or compelling enough voice to soar over the body of an orchestra. 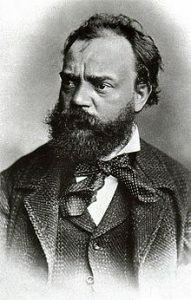 Fate took a hand, however, when he decided to go to hear a premiere by a composer and education colleague at New York City’s National Conservatory, where Dvorák served as director. That colleague was Victor Herbert, whose Cello Concerto convinced Dvorák that he had been under a misconception. Dvorák set to work for two years, and in 1896 was able to have the noted English ‘cellist, Leo Stern, play the solo part at a premiere performance in London that changed the world order for the instrument forever. In listening to the first movement, one is truly struck by the conversational quality of the relationship between orchestra and soloist. The opening is generous and takes its time introducing the solo voice of the ‘cello. 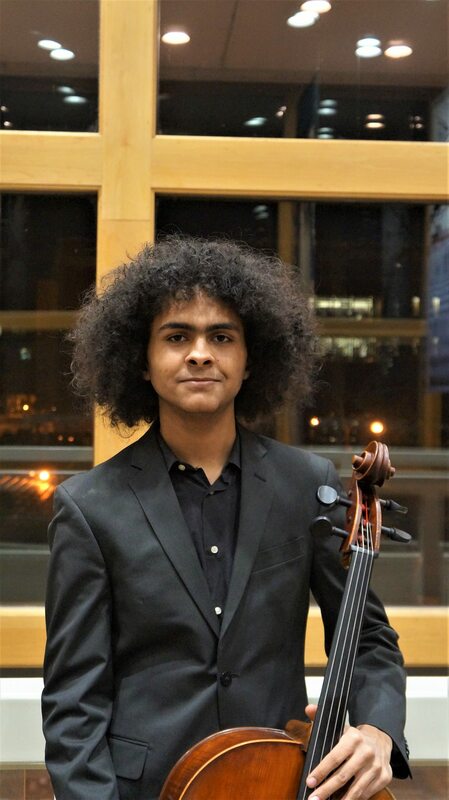 When the ‘cello enters, its voice is stentorian and poetic. It shifts from anguished to playful to thoughtful, all the while demanding the best in the soloist’s technical prowess. This movement gives us a peek at a beautiful work of art that occupies a solid place in the repertoire. To learn more about the concert, click here. You can order tickets online through the Bloomington Box Office or by calling 952-563-8575. We send occasional emails to update our patrons about upcoming performances and special events. BSO Members and Guests can login to the protected area of the website here.